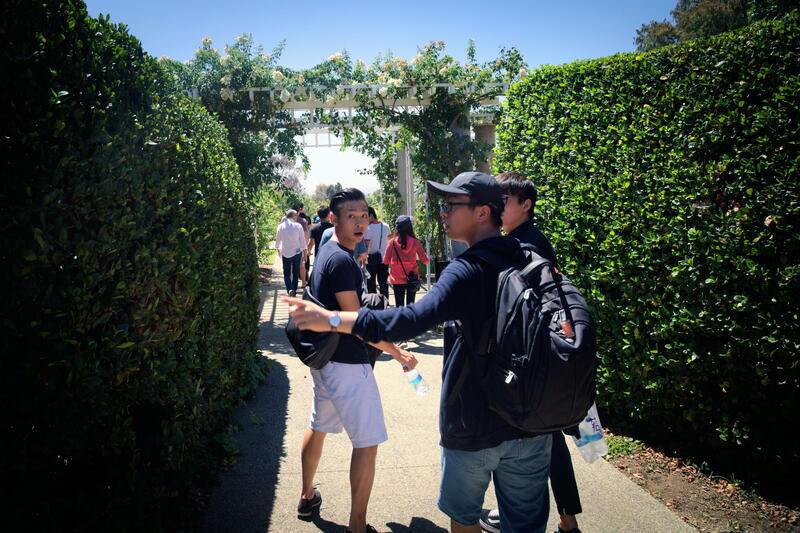 On August 17, 2016, MCL held a group excursion to the Huntington Library, Art Collection and Botanical Gardens. The Huntington Library, Art Collection and Botanical Gardens is a research and educational institute established in 1919 by Henry E. and Arabella Huntington. Its library is one of the largest and most complete research libraries in the United States in British and American history and literature. Covering 129 arces, the Botanical Gardens have more than a dozen specialized gardens, among which the most remarkable are the Japanese Garden, the Chinese Garden, the Rose Garden. The visit started with a guided-tour through the Rose Garden, the Japanese Garden, the Chinese Garden and the Conservatory. During the guided-tour, MCL members not only enjoyed the wonderful views in the gardens, but also learned the history of the Huntington and appreciated different unique cultures. The tour continued with a nice walk in other specialized gardens such as the Desert Garden, the Lily Ponds, the Subtropical Garden. The visit ended with the library exhibits in a wide range from literature to science.